Medium - $49.99 Only 7 left! A ninja must train morning, noon and night in order to perfect his skills. He must master the art of blending into the shadows. He must train in the use of super-awesome weapons. But most importantly, he needs to show off his beefy muscles to let the bad guys know just how strong he is! Or at least, that seems to be Cole’s plan of attack when dressing for battle. Cole is one the Secret Ninja Force members, assembled by Master Wu and he doesn’t mind flexing his muscles for the baddies. After all, every group needs their tough guy! Jay can’t do, since he’s a little too timid. Lloyd can’t do it, since he’s too deeply embroiled with his drama with his dad (Lord Garmadon). Kai and Nya are a little too busy sparring like siblings to be the tough one. That pretty much leaves it to Cole to pick up the slack! 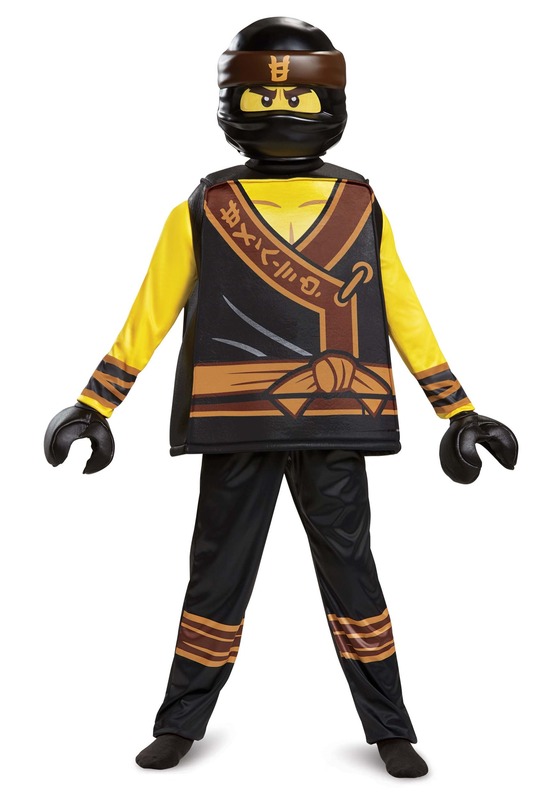 And if your child likes being the tough guy, then this Ninjago Movie costume ought to be perfect for him. Based on his outfit from the Lego movie, this Ninjago Cole deluxe child costume helps your child achieve his dream of joining the Secret Ninja Force. The costume comes with a tunic designed to give your child a boxy look, just like a real Lego minfigure. The front of the tunic has printed details and some printed muscles in front. It also has yellow sleeves, making it look like your child is showing of his guns. 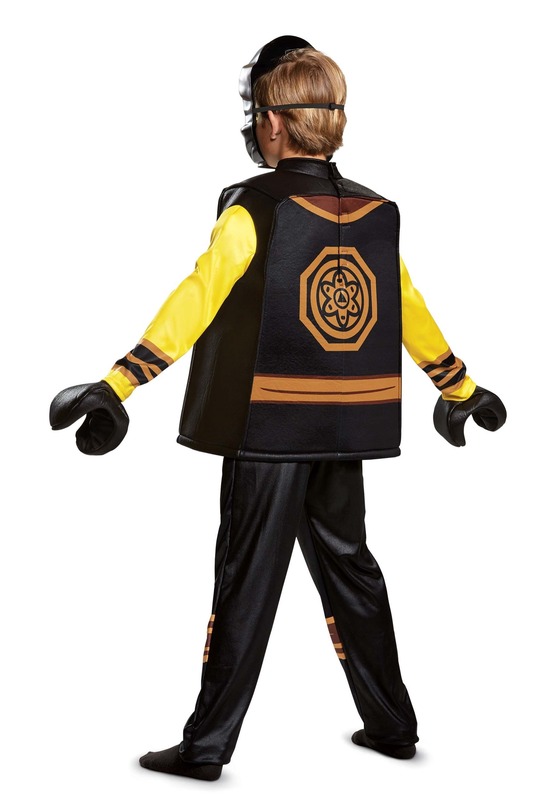 The costume also comes with a pair of matching pants, a pair of gloves and a mask to complete the look. Your young one will definitely feel like one tough ninja!